Do you know you can increase your brain power? Mainstream science once held that this is impossible, that the brain is fixed and cannot be improved since it is already hard-wired. However, more recent research in neuro-plasticity has found this to be incorrect. Your brain is quite malleable and is capable of altering its structure including the generating of new brain cells. 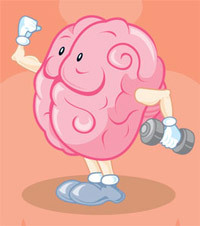 Using mental activity, you can even change your brain to restore physical and mental health. This workshop will show you how you can increase your brain power by using thinking techniques and physical exercises that will enhance your thinking skills. Using these techniques daily will improve your thinking, memory, creativity, and communication skills, making you a more effective manager. Managers, executives and business professionals who want to improve their thinking skills and build up their brain power.